Fig. 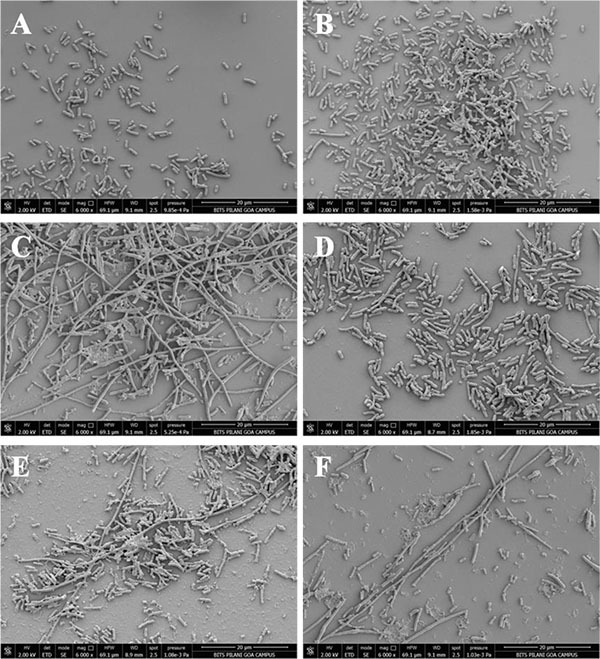 (6) Scanning electron micrographs of Wild type (WT), Control protein, Gp07, rNTD, rCTD and ΔGp07 expression in E. coli. (A) Wild type (WT), (B) Control protein (C) Gp07, (D) rNTD, (E) rCTD, (F) ΔGp07; all scale bars are 20 µm.